Welcome to my website, I am Martyn Leaver. 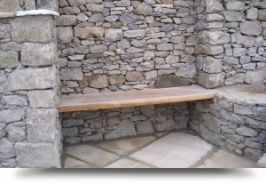 I offer traditional dry stone walling throughout Cumbria and Yorkshire (a 40 mile radius from Darlington). I have many years experience in my trade and much of my work can be seen throughout the landscape of Cumbria and Yorkshire but please visit my gallery page for examples of my work. 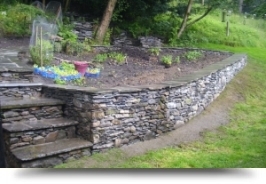 A dry stone wall can add imagination and creativity into many landscapes; whether it be a fountain, bridge, garden or even hotel grounds. 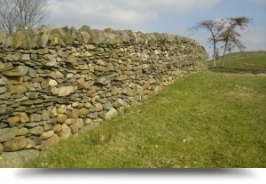 Dry stone walls also provide practicality for boundaries in fields. 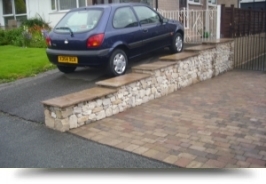 Dry stone walling is an old craft for delineating boundaries between parcels of land or fields. 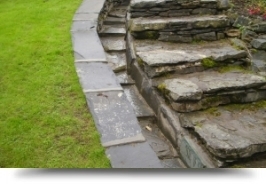 There is a growing demand for repair and preservation of these features, and far from the craft dying out, it is alive and well all over the country. 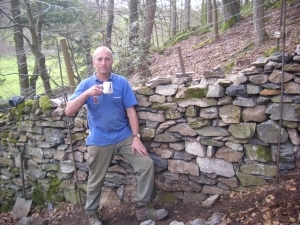 I am a professional and certified member of the Dry Stone Walling Association of Great Britain which was founded in 1968 in Kirkcudbrightshire, by the late Mrs Murray-Usher and the Stewartry Drystane Dyking Committee. The Association has expanded greatly since those early days, with now over 1000 registered members. DSWA operates a nationally accredited craftsman certification scheme, run in conjunction with Lantra Awards which offers four levels of certification. In 2004 DSWA relocated to Cumbria and its Head Office is based at the Westmorland County Showground. DSWA is a registered charitable organisation and relies on membership subscriptions for much of its income. Including new build and wall and fence maintenance. Constructed in sympathy with the surroundings. To suit your interior design. 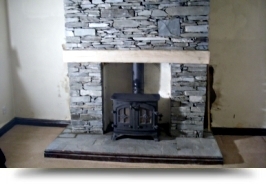 Please take a look at my gallery page to see the standard of work that I produce and contact me on 0174 888 6025 or 07971 456 043 for a friendly chat about your project, or email me at leaverstonework@live.co.uk for a prompt response.